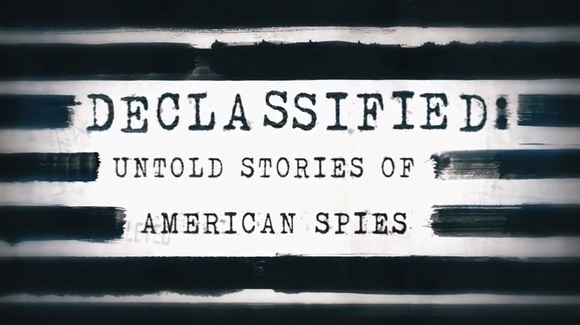 Get ready for more of Declassified: Untold Stories of American Spies. The series will return for a second season later this month. Mike Rogers, a former US congressman, will host the series. CNN released a press statement detailing the new season. There was also a new trailer released. Check both out below. “CNN’s Declassified: Untold Stories of American Spies returns for a second season on Saturday, July 22, at 9:00 p.m. ET/PT. The eight-part CNN Original Series provides viewers with unprecedented access to the riveting and secret world of espionage. Hosted by former U.S. Congressman Mike Rogers, also the former chairman of the House Intelligence Committee, each episode features a newly declassified mission told first-hand by the agents who lived it. Intelligence agencies including the CIA, FBI, NSA, DEA, Homeland Security and the State Department are represented, revealing the unbelievable true stories of America’s covert operations in the United States and around the world. The second season of Declassified will chronicle successful missions to target America’s biggest threats including a software pirate, an international arms dealer, terrorist hijackers and the world’s biggest heroin trafficker. The season two premiere, “The Spies Next Door: Operation Ghost Stories,” reveals the story of undercover Russian sleeper agents living in the U.S. and one of the largest counterintelligence investigations in the history of the FBI. In addition to the TV airings, Declassified will stream live for subscribers on July 22 via CNNgo (at www.CNN.com/go and via CNNgo apps for AppleTV, Roku, Amazon Fire and Samsung TV) and on the CNN mobile apps for iOS and Android. Episodes will be available the day after the linear premiere on demand via cable/satellite systems, CNNgo platforms and CNN mobile apps. Will you check out the new season of Declassified? Tell us what you think. More about: CNN TV shows: canceled or renewed?, Declassified: Untold Stories of American Spies, Declassified: Untold Stories of American Spies: canceled or renewed?